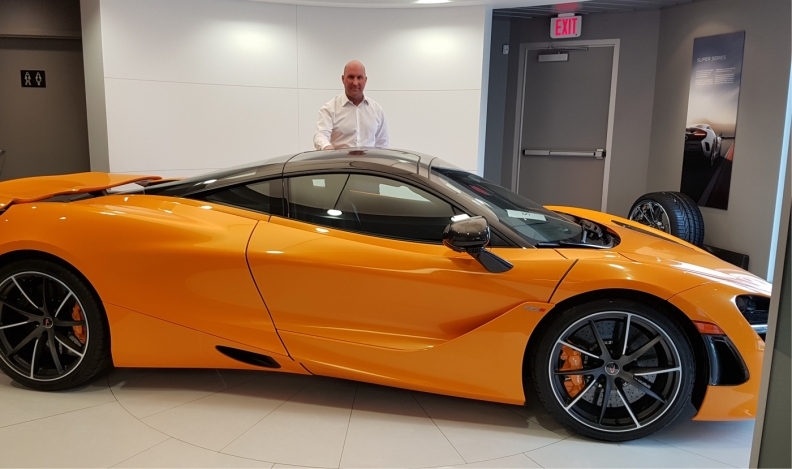 Morris Lubinich, general manager at Pfaff Auto's Vancouver McLaren store, says some customers have purchased in-stock vehicles to beat the April 1 rate hike. The already high cost owning and operating a motor vehicle in British Columbia just got more expensive, particularly for those at the top end. The tax increase is triggering an angry backlash from dealers. Meanwhile, fuel prices in the Metro Vancouver region, where most B.C. residents live, have been hovering near $1.50 a litre, with similarly high prices in Victoria, the provincial capital. Auto dealers are upset the government, whose NDP predecessors introduced the luxury-vehicle surtax in the 1990s, increased the rate without consulting them. A Finance Ministry spokesperson told Automotive News Canada it’s standard practice to develop tax policies independently and confidentially. “My phone still hasn’t stopped ringing,” Blair Qualey, president of the New Car Dealers Association of B.C., said a week after the budget was unveiled. Under the existing regime, vehicles costing less than $55,000 net a seven per cent provincial sales tax, climbing in one per cent increments for each additional $1,000 to a maximum 10 per cent. Effective April 1, the rate for vehicles from $125,000 to $149,999 jumps to 15 per cent, with vehicles $150,000 and up facing a 20 per cent levy. The rates apply to new and used vehicles, including private sales. Vehicles leased before April 1 face the new rate on their monthly payments. Tack on five per cent federal goods-and-services tax, and the tax bite for a high-end vehicle becomes huge. Luxury sales make up 16.3 per cent of the B.C. market, well above the national average of 11.6 per cent, according to DesRosiers Automotive Consultants’ spring outlook. Most sales are below $125,000, but the high-end segment is significant: Ferraris, AMG Mercedes, Lamborghinis and Range Rovers are not uncommon sights on Metro Vancouver streets. Those dealers are worried. “They remain gravely concerned because they’re seeing a number of the deals that they had for vehicles evaporate before their very eyes as their customers determine they’re not going to pay up to 25 per cent tax in this province,” said Qualey. Dealers felt blindsided, said Asgar Virji, dealer principal at Weissach Auto, which sells used Porsches and is an authorized dealer for Lotus, Bugatti, Koenigsegg and Lamborghini. Virji and other dealers are worried about how customers will react. Likewise at Pfaff Auto’s Vancouver McLaren store, where some customers are shifting from bespoke orders to whatever is on the showroom floor to beat the April 1 rate hike, said general manager Morris Lubinich. The government forecasts the surtax will bring in $20 million over two years. But dealers warn well heeled customers could find ways to avoid paying it, for example by registering their vehicles outside B.C. “These will be creative people who are used to working on a global basis, and they’re going to find a way to avoid paying 25 per cent tax,” said Qualey. High fuel prices are harder to escape. Metro Vancouver residents have learned to live with spikes in pump prices, perennially the highest in Canada. The latest is not even the worst. Regular gasoline reached $1.54 cents in the summer of 2014, according to historical data from GasBuddy.com. About a third of the price is taxes, including a carbon tax and regional transit levies for Metro Vancouver and Victoria. Fuel costs have had no significant effect on buying patterns, according to DesRosiers. The light-truck sales were 69.7 per cent of the B.C. market last year, up from 56.4 per cent in 2010 and accelerating sharply since hitting 60 per cent in 2014. DesRosiers’ report forecasts the light-truck share to break 70 per cent this year. Almost all light-truck segments have grown, including thirstier large SUVs and large pickups, but especially luxury segments, DesRosiers said.